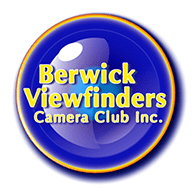 Berwick Viewfinders Camera Club Inc. Privacy - Berwick Viewfinders Camera Club Inc.
BVCC is bound by the terms of the Privacy Act. * Address, including Email address. * Religious beliefs or affiliation. * Racial or ethnic origin. * Membership of a political association. within BVCC, and to work performed on behalf of BVCC.